As the Internet becomes an everyday part of people’s life, it is becoming more and more important for many business’s to offer customers and clients the facility of buying online. Online shopping is the process of consumers going through to purchase products or services over the internet. 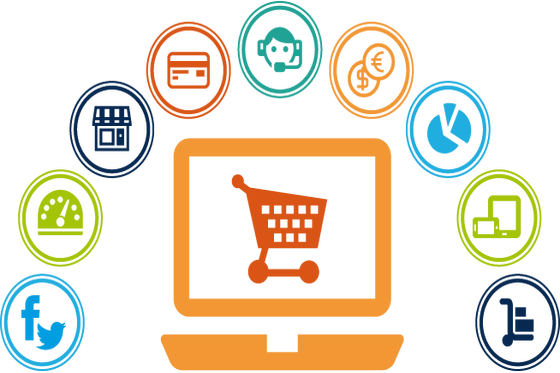 With years of experience in developing web solutions, GS TECKNO has the required tools, technologies and human resources to help you in developing your own online e-commerce store. Whether you’re starting an online business or taking your existing business online, we take care of everything you need to build, manage and host your own web store. Through our powerful yet affordable e-commerce solution, we provide all the essential ingredients including web hosting, searchable product catalogs, shopping carts, real-time transaction processing, advanced inventory management, custom shipping tables, support for merchandising, mail order systems. We help you in accelerating your business growth by running special promotions, offering affiliate programs and frequent buyer clubs, cross-sell and up-sell products, perform detailed tracking of business metrics, and more.